It's a one in a million chance. 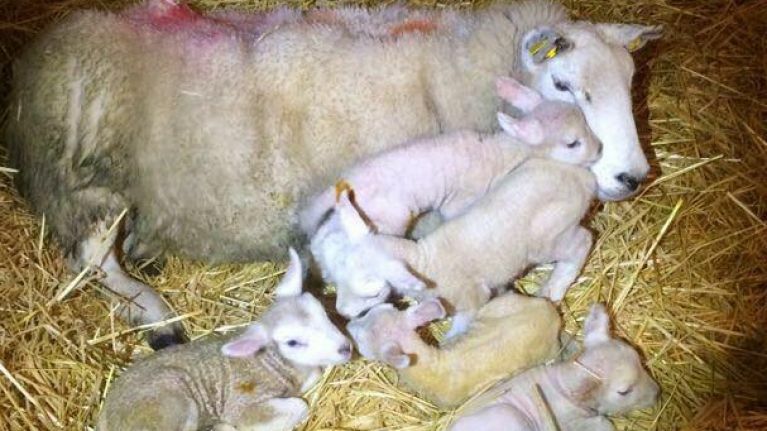 A farm in Bangor Erris, Mayo received a late Christmas present (or very early depending on what way you look at it) when one of their ewes gave birth to quintuplets. 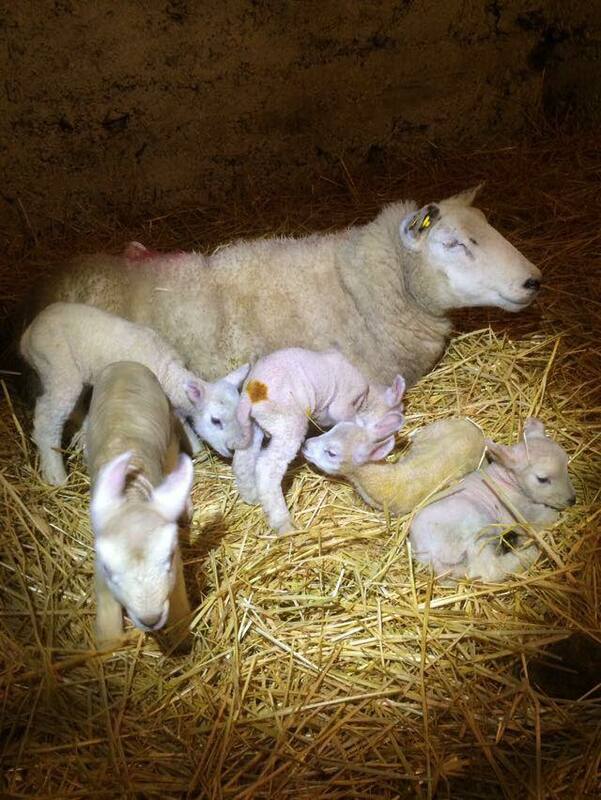 The brave ewe gave birth to her five healthy, strong lambs on Sunday and according to Colm Flannery, who sent these photos into JOE, both mother and lambs are doing well. "She was scanned for four and she had five, a massive surprise to us all, she had them last Sunday the 13th," Colm told JOE. 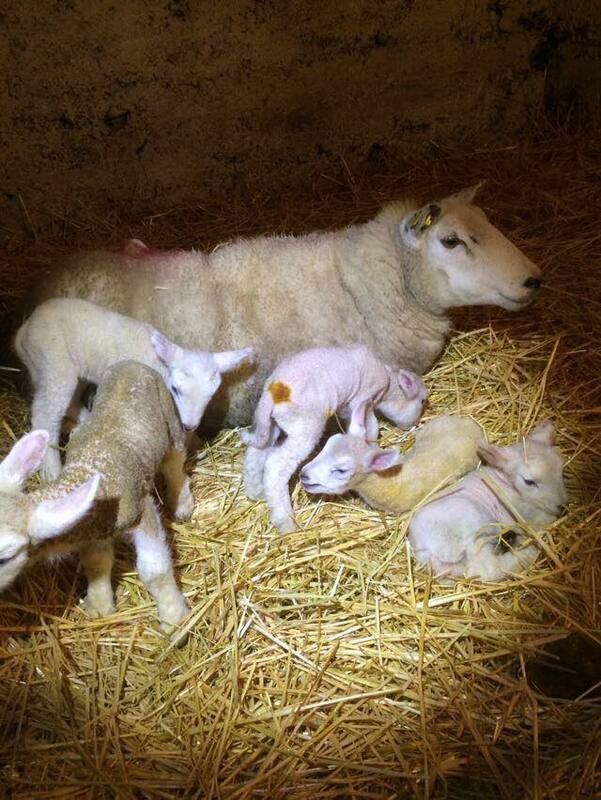 A ewe giving birth to five lambs is very rare, with some stating the odds of it happening are a million to one. 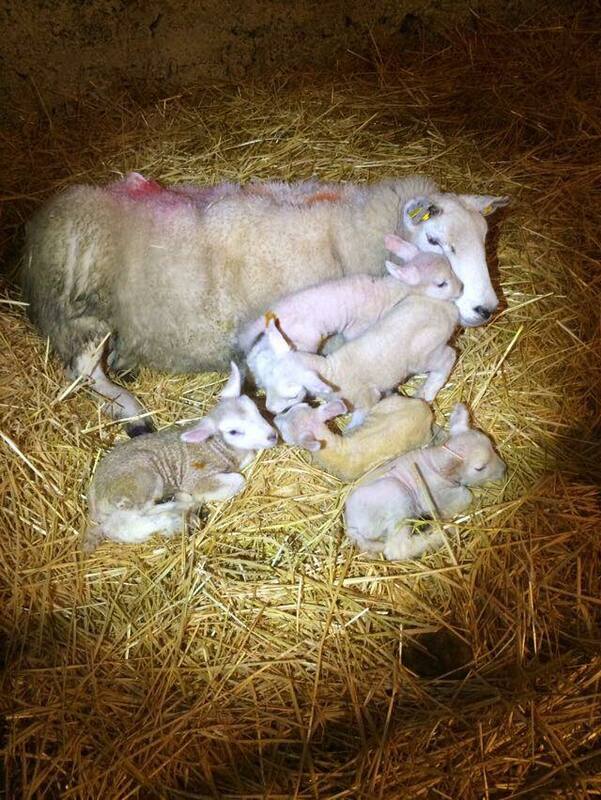 We're delighted to hear both mother and lambs are doing well. Cheers to Colm Flannery for sending this our way. Got a story for JOE? Hit us up on here.